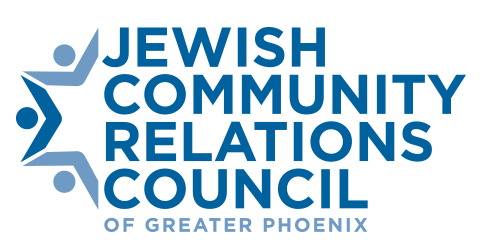 The JCRC was at the forefront of the Jewish community of Phoenix’s response to the New Zealand mosques attack. 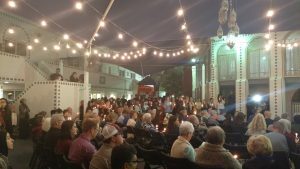 On Saturday March 16, JCRC Executive Director Paul Rockower spoke at the vigil held at the Islamic Community Center of Tempe, and was interviewed by a number of local outlets including Fox 10 News, NBC 12 News and Telemundo (in Spanish). On Sunday March 17, JCRC Executive Board member Rabbi Bonnie Sharfman spoke at the vigil held at Islamic Center of North East Valley, which included municipal, state and congressional leaders as well as religious leaders from a wide variety of faiths. The JCRC was part of the joint statement issued on behalf of the Jewish community including the Jewish Federation of Greater Phoenix and the Anti-Defamation League of Arizona, as well as the joint invitation to the Sunday vigil. 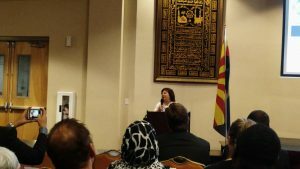 The JCRC served as a catalyst for the significant turnout from the Jewish community of Phoenix to support our Muslim neighbors in this dark time.